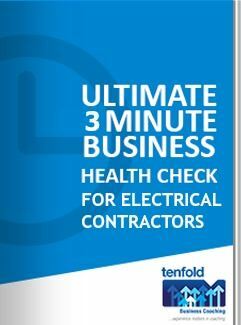 Don’t go another year not knowing if your electrical contracting business is making you as much money as it could. Leading electrical contracting businesses trust Tenfold Business Coaching to deliver real results that matter: Profit, Cash Flow, High Performing Team. We set up a plan and deliberately went for that. 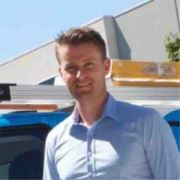 We doubled the business in 12 months and I put that all down to my hard work with my Tenfold coach.” Alex Lamblin, Prolux Electrical Contractors. How Does Your Electrical Contracting Business Stack Up? As an electrical contractor, you might think your business is going well. And maybe it is. But how do you really know if your business is performing as well as it could? Tenfold business coaches have delivered over 12,000 coaching sessions and we work with some of the best in the business. Find out how your electrical contracting business stacks up – the results may surprise you. 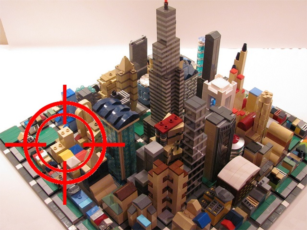 Create a niche that has low competition, good margins and high barriers to entry, to put you ahead of the pack. Control the key drivers of your business – cash flow, sales, suppliers, costs, productivity, resources. Proven systems and processes to ride the bumps. Achieve long-lasting success for your electrical contracting business. Attract and retain the best in the market. Have a leading team that can be relied on in thick and thin. Reclaim your time. Spend more time off the tools, more time on your business and your life. Call Tenfold on 9813 8777 to arrange a consultation with one of our experienced business coaches. FREE consultation for eligible businesses.